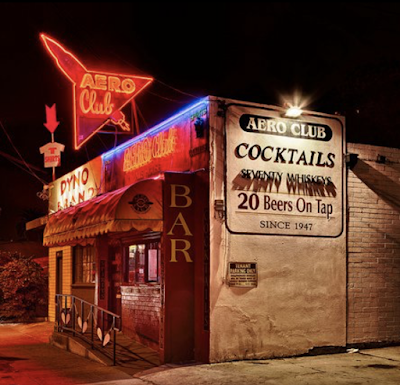 It has been confirmed that one of San Diego's historic haunts, The Aero Club in Middletown, which has been in business for more than 70 years, will be forced to relocate or close as of next year due to the impending sale of the building that it occupies. The Aero Club was first opened in 1947 by a well-respected female pilot, Mariam Profit, who wanted to open an airplane-themed bar for other airline staff as well as the workers of a nearby aircraft factory. Mariam only ran the bar for a few years but continued to own the building until she passed away in her mid 90s. Operated as a flailing wine and beer bar at the time, the neighborhood outpost was purchased in 2004 by Bill Lutzius and has since become known as one of San Diego's top dive bars, boasting a selection of more than 1,200 whiskey option. Lutzius, who last month opened Chinatown Bar in City Heights, will not be renewing his lease at 3365 India Street when it ends in May 2019. The building is currently for sale at the price of $1.8 million. Although Lutzius has indicated an ability to purchase the building and keep The Aero Club where it has always been, he would rather move the bar to a more walkable neighborhood.